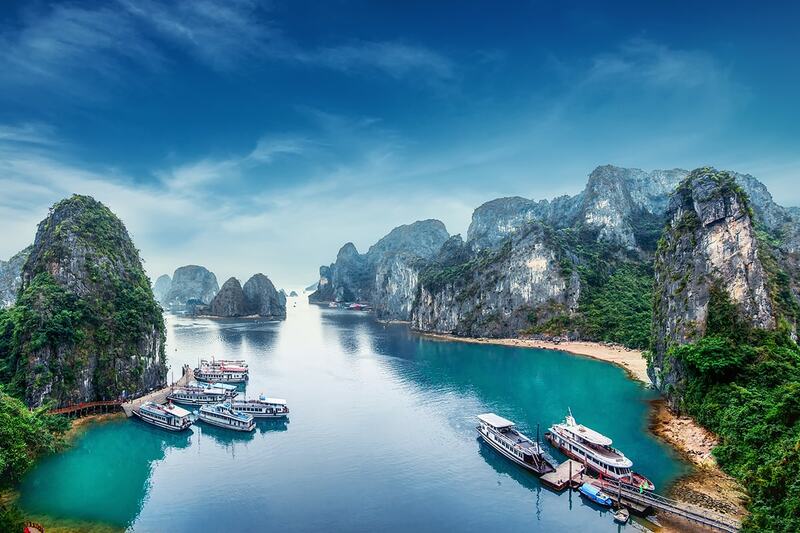 10 day North Vietnam tour with beach break including return flights, accommodation, overnight Halong Bay cruise, sightseeing, breakfast daily and more! Boasting stunning natural landscapes and unforgettable heritage, Vietnam offers an abundance of inspiring sights and memorable experiences. 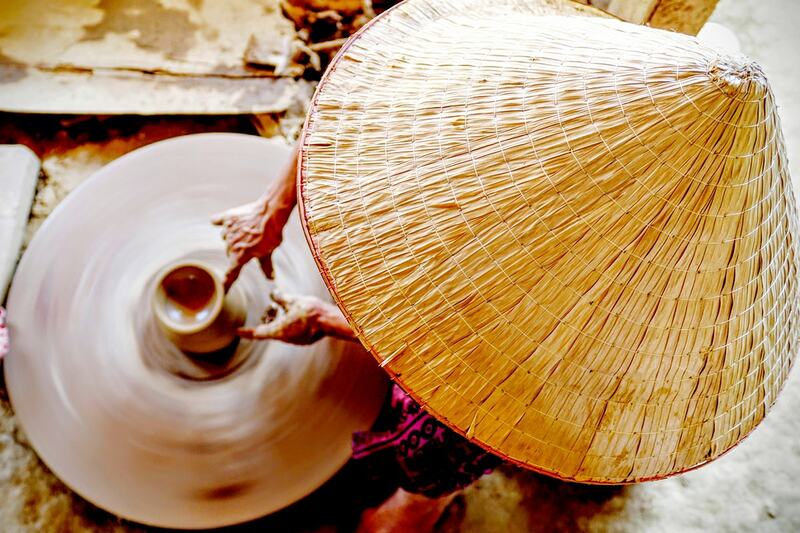 See the very best of it all with this 10 day North Vietnam tour and Hoi An beach break package. 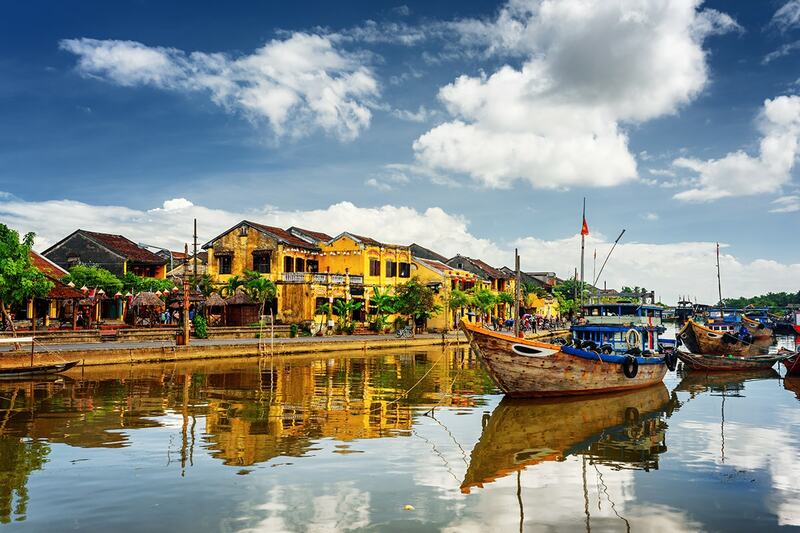 Enjoy a full day city tour of buzzing Hanoi, admire the renowned temples including Tran Quoc Pagoda, experience an overnight Halong Bay cruise and relax on the breath-taking beaches of Hoi An. Your package includes return international airfares, breakfast daily, accommodation, transportation, Halong Bay cruise, sightseeing and more. Today depart Australia for Vietnam! On arrival you will be picked up at the airport then transferred to the hotel. 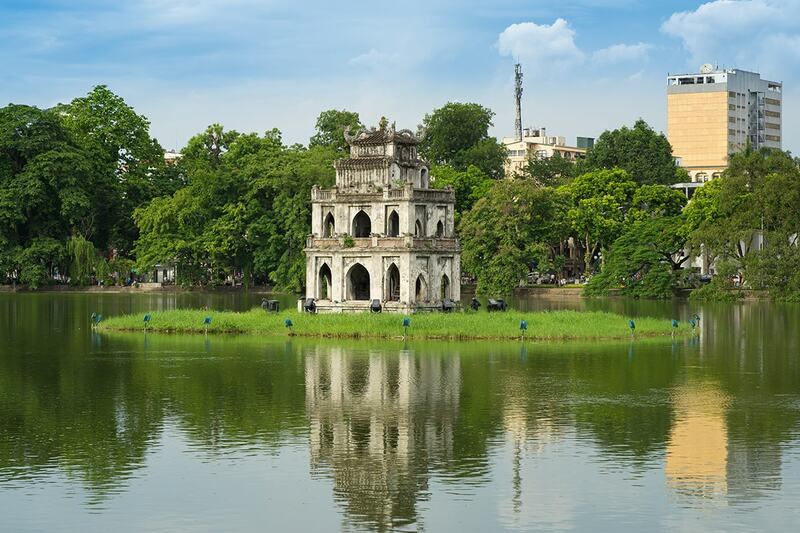 We recommend you to take a slow walk around Hoan Kiem Lake which is very scenic, so remember to bring your camera. The rest of day is at leisure to relax after your flight. Please note: Some flights arrive late in the evening on day one. After breakfast, you will be picked up for a tour of this colonial city. 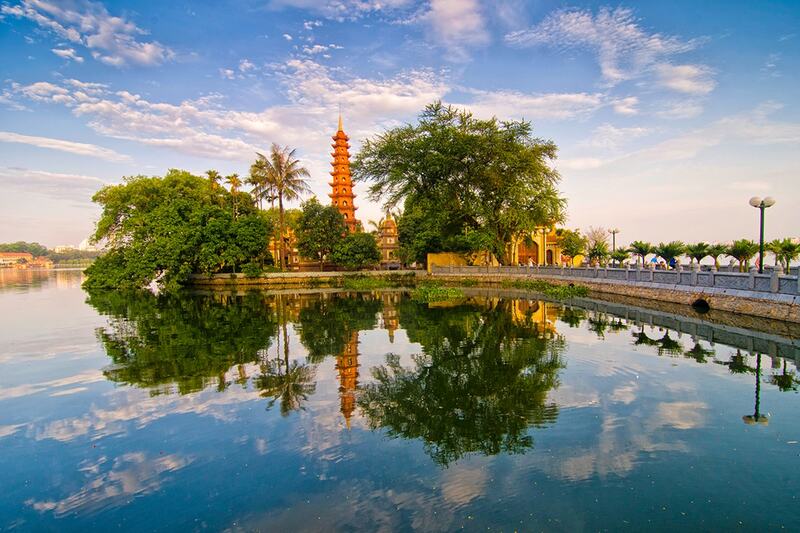 First we head to Tran Quoc Pagoda, a 1400 year-old temple, the oldest in the city. Located near West Lake offering a watery landscape, the pagoda is a very scenic attraction. 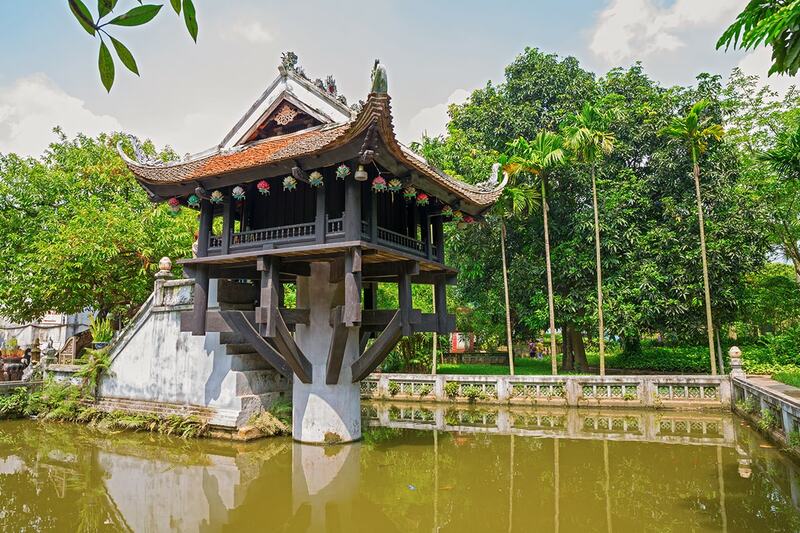 Next it is on to the Ho Chi Minh Complex, where you have the chance to visit President Ho Chi Minh’s Mausoleum, Uncle Ho’s House and the One-pillar pagoda – a very iconic temple in Vietnam. The Temple of Literature will be your next stop, here education and study is centre point. After lunch, we will explore Ngoc Son Temple (Temple of Jade Mountain) dedicated to Confucian and Taoist philosophers and the national hero Tran Hung Dao. 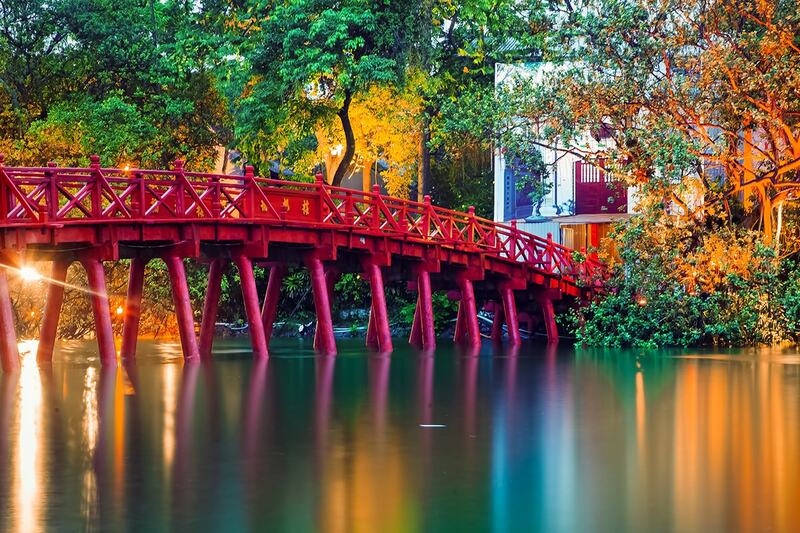 The temple with its famous Huc bridge is in the centre of Hoan Kiem (Sword) Lake. 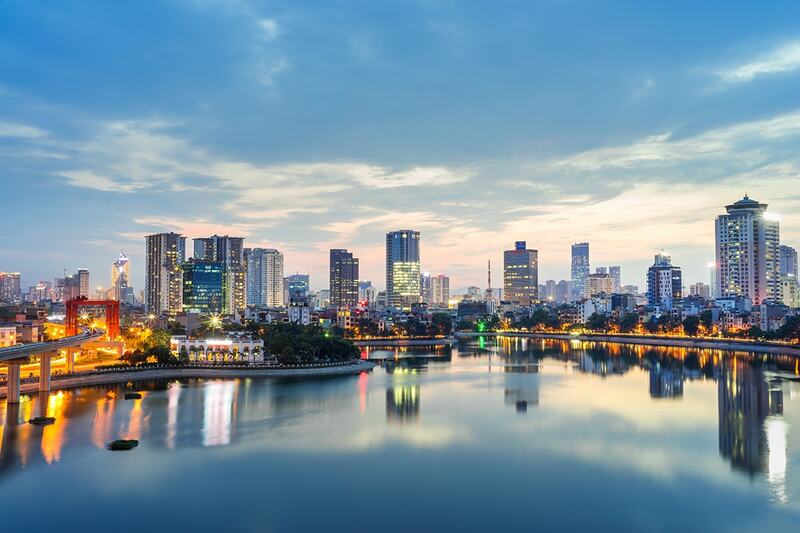 The evening is at leisure to explore Hanoi at your own pace. Today we head for Halong Bay! On the way we stop at a handicraft workshop for a short break. 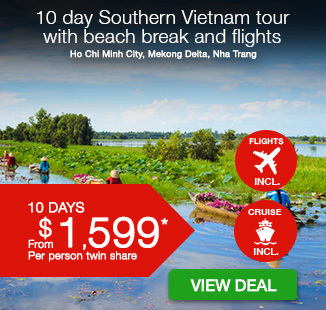 Enjoy the journey through the Red River Delta with lush rice fields, water buffalos and everyday Vietnamese rural life. 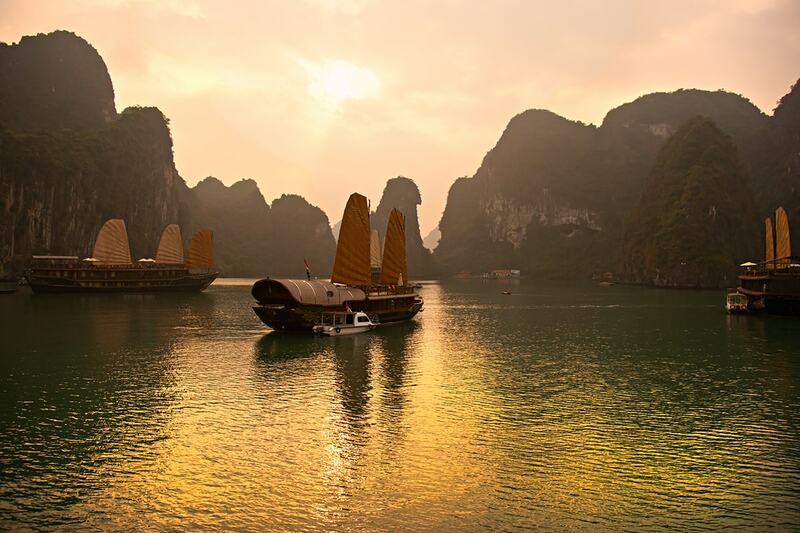 After you arrive in Halong, check-in for your overnight cruise and relax for a while. 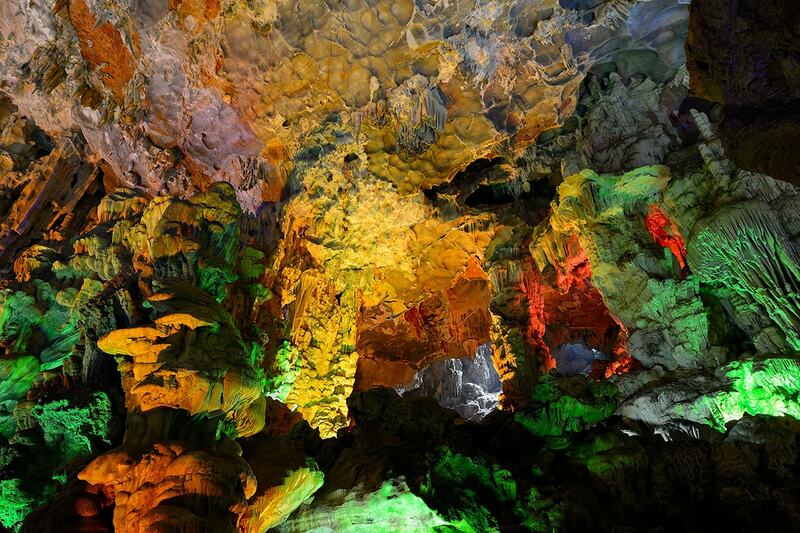 Then we lift anchor and sail to visit Sung Sot caves where we have one hour for kayaking between the limestone spires. Afterwards we set sail to explore this UNESCO Heritage region. As the sun sets over the bay, dinner is served on board with a huge selection of fresh seafood, salads, and fruits. There will also be a cooking class on board, where you can learn to cook some basic Vietnamese dishes or simply watch the sun slip away with a cool drink on the deck. 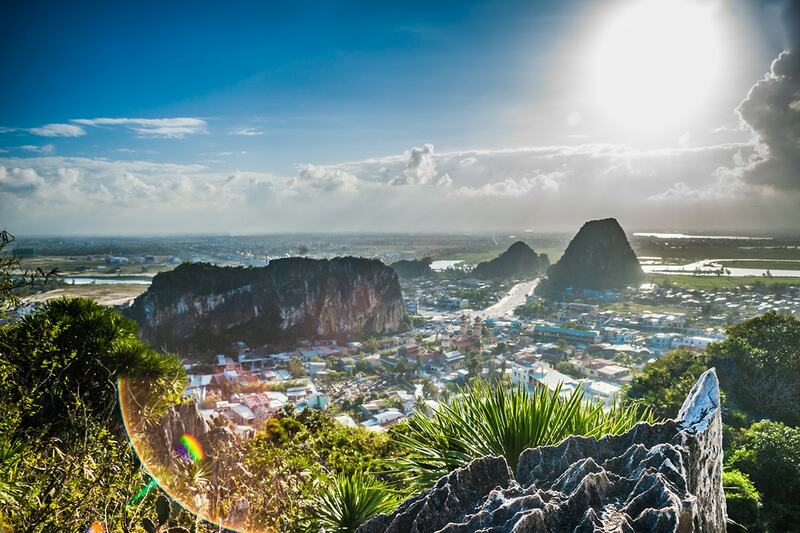 The beautiful sunrise on Halong Bay should never be missed, especially if you are into photography. Start the new day with an on-deck Tai chi session (if you are keen), or sleep in. Breakfast will be served on the boat after which you’ll have more time to enjoy the view before a wholesome brunch as your boat weaves through the magnificent limestone karst formations on your return towards Halong City. Your driver will meet you at the Halong jetty and take you back to Hanoi. Check into your hotel and this evening is at leisure. Today enjoy a day at leisure. In the afternoon we drive to the airport for the flight to Danang (Hoi An). 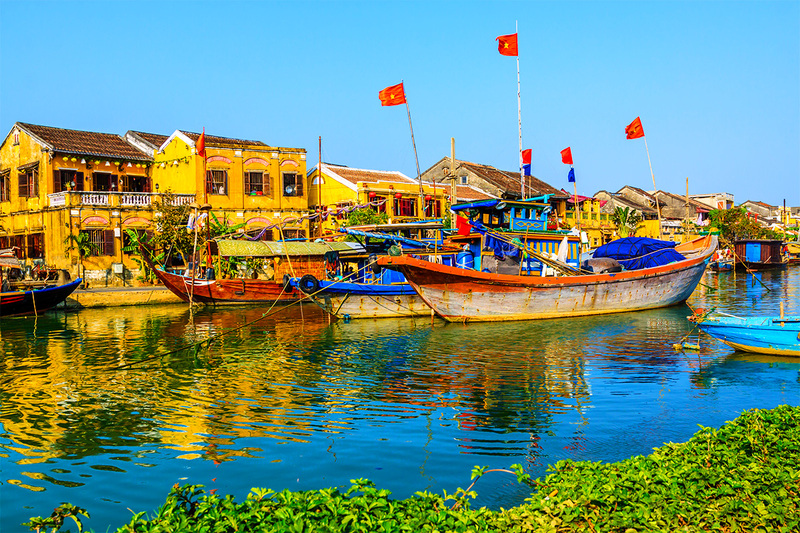 On your arrival to Danang, you will be picked up and transferred to your hotel in Hoi An. Today is free to do as little or as much as you like. 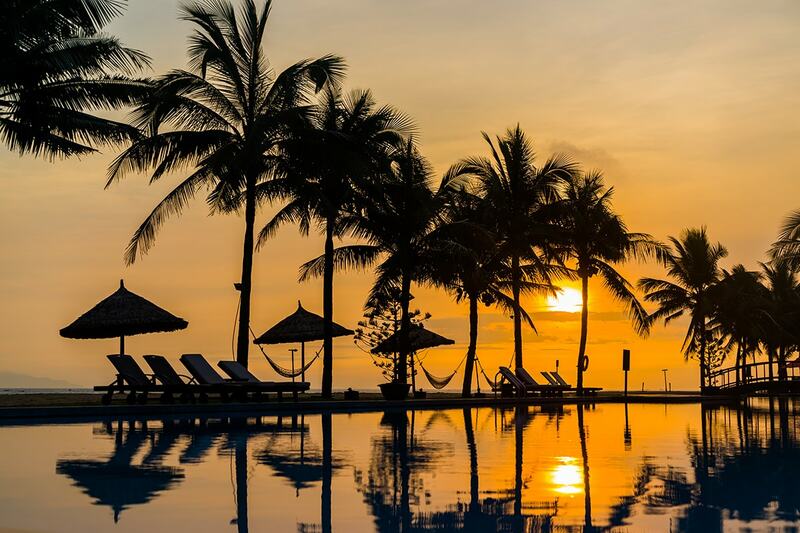 Either relax in your resort, lounge on the beach or explore ancient Hoi An on your own. This morning is free to do as little or as much as you like. This afternoon you’ll be transferred to the airport for your onward flight home. 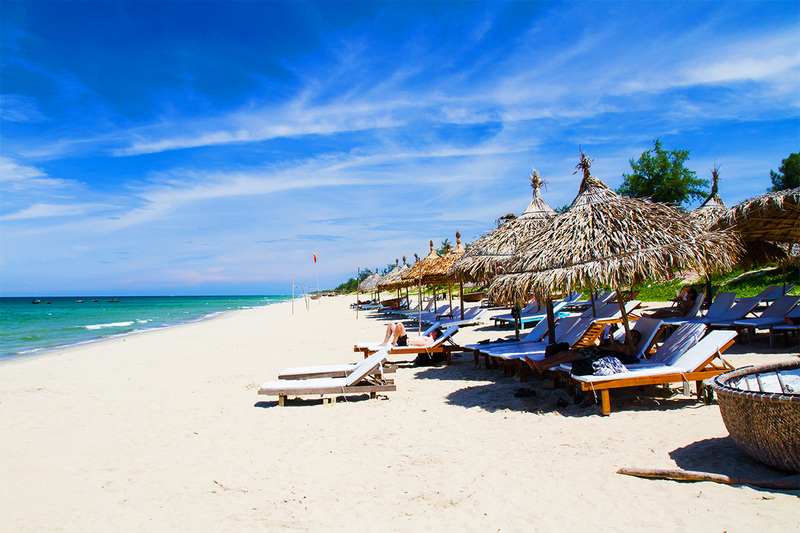 Relax on Hoi An’s beach allowing you to do as much or as little as you like! Tour Excludes: Travel insurance, Visas, Tips and anything which is not mentioned in the itinerary. Availability on Departure Dates listed in Fine Print is subject to change. True availability is shown on the availability calendar after clicking on the ‘BUY NOW’ button. An alternative airline cannot be requested. If you wish to fly with an alternative airline, you will be required to take the package as LAND ONLY and arrange your own International Flights to meet the itinerary. By doing so, you must also arrange your own airport transfers. .
Adelaide or Brisbane – A $300 per person interstate surcharge applies, please purchase the interstate fee after clicking “Buy Now” or by clicking here, in addition to your 10 Day voucher. 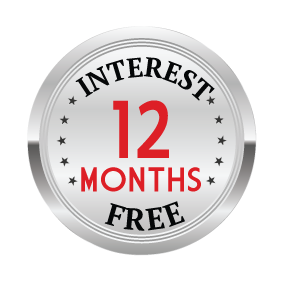 Perth a $500 per person interstate surcharge applies, please purchase the interstate fee after clicking “Buy Now” or by clicking here, in addition to your 10 Day voucher. Travel through to December 2019!